J D Neuhaus (JDN) hoist and crane material handling solutions deliver optimum performance and claim to offer the best Total Cost of Ownership (TCO) in its class. But what is Total Cost of Ownership (TCO)? TCO is a measure of the total cost of purchasing and operating a product over its useful life. This calculation is critical to a business because it shows the complete financial impact when deciding on purchasing a piece of equipment. In short, the initial price tag typically does not account for the overall, long-term costs to install, utilise, maintain, upgrade and support the product over its lifetime. 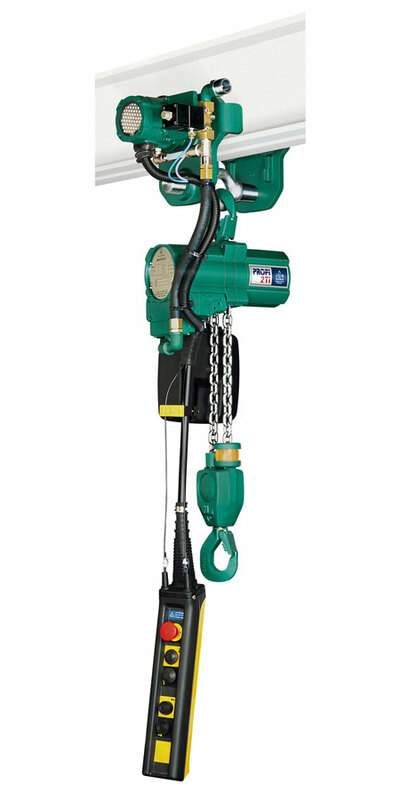 For hoists and cranes, ongoing costs can be largely divided into two categories, direct and indirect costs. While the former include factors such as operating labour, maintenance, utility costs and spare parts, the latter includes unscheduled maintenance and downtime resulting from operational damage to customer products/materials. With a significant percentage of skilled JDN personnel engaged in R&D, users of the company’s advanced hoist and crane products benefit from exceptional reliability, even in the most challenging of environments. This level of performance means that users can operate safely with the knowledge that unscheduled downtime will be minimised, increasing productivity and minimising TCO factors. Efficiency in hoist and crane technologies is delivered through competent expertise. For instance, JDN products are purpose-designed to offer the industry’s most efficient air consumption rates per metre lift, resulting in a significant contribution to minimising operational and lifecycle costs. Reliability and year-round minimised maintenance is another inherent factor in ensuring reduced TCO. By maximising availability through 100% operating uptime, customers can rest assured they are getting optimum value from their investment. 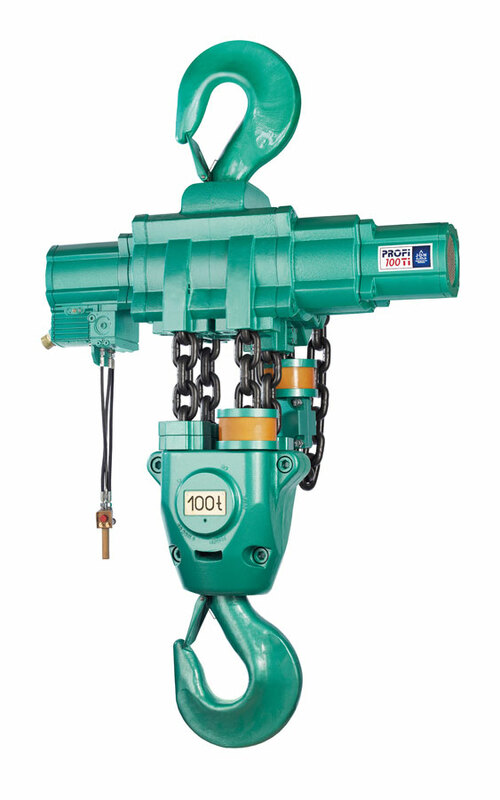 Furthermore, when scheduled maintenance is required, JDN hoists and cranes are designed to achieve extremely short service times, helping get the product back in operation as quickly as possible. Complementing reliability in the TCO equation is safety. When an operation demonstrates safe performance, it instils confidence in the operator/process owner and avoids the costs associated with potential accidents, which can go far beyond projected finance levels. 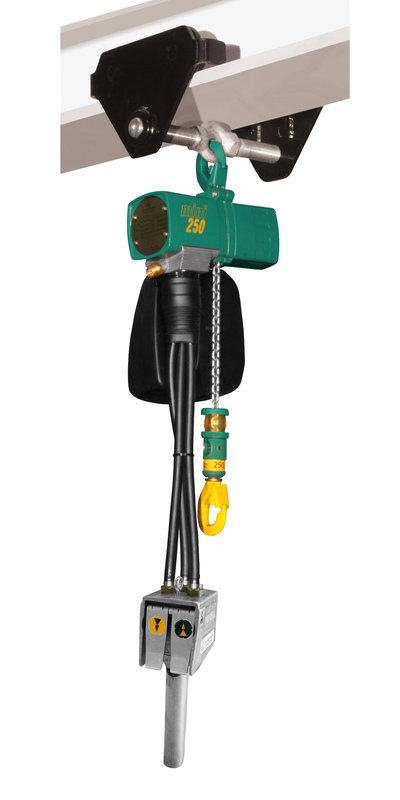 To achieve inherent equipment safety, robust engineering is required, which is why JDN hoists and cranes are designed to be explosion-proof, dust-proof and humidity-proof. Flexibility is another contributory factor to low lifecycle costs. A product can be expensive if it is not optimally matched to the application. JDN offers custom-made solutions to ensure that exact customer requirements can be met. This is backed up by choices of pneumatic or hydraulic operation, radio control and a comprehensive range of accessories. All of these considerations serve towards the minimisation of TCO, which means that JDN products not only excel in terms of performance, but they are also extremely cost-effective over their full working lifetime. With over 200 employees across the group, J D Neuhaus GmbH & Co. manufactures pneumatically and hydraulically-operated hoists and crane systems up to 115 tonne capacity from its state-of-the-art facility in Witten, Germany. This globally unique specialisation means that J D Neuhaus has set the quality standard for the market, a move that has seen the company become the established global leader in its technology field with customers in more than 90 countries worldwide. Resilience and reliability are the key product differentiators, thanks largely to their explosive protection rating which makes them ideal for use even in the most challenging of operating environments. Extreme applications include oil and gas exploration in arctic temperatures as low as ‑45°C, along with underwater tasks such as ship hull repairs, and plenty of others in demanding sectors like mining, the chemical industry, heavy plant construction and many areas of logistics. The wide portfolio of services provided by J D Neuhaus includes equipment assembly, inspection, maintenance and general overhaul, along with the supply of customer training courses. Over 80% of production from the Witten plant is exported, which is why the company has long-established subsidiary companies in France, Great Britain, Singapore and the USA, all of which have helped create a tight-knit global network in collaboration with international partners. J D Neuhaus has history that can be traced back to 1745, and is now in its seventh generation of family ownership. Visitors to the Hebezeug-Museum (Hoist Museum) in Witten, are able to see for themselves the remarkable history of this progressive company.